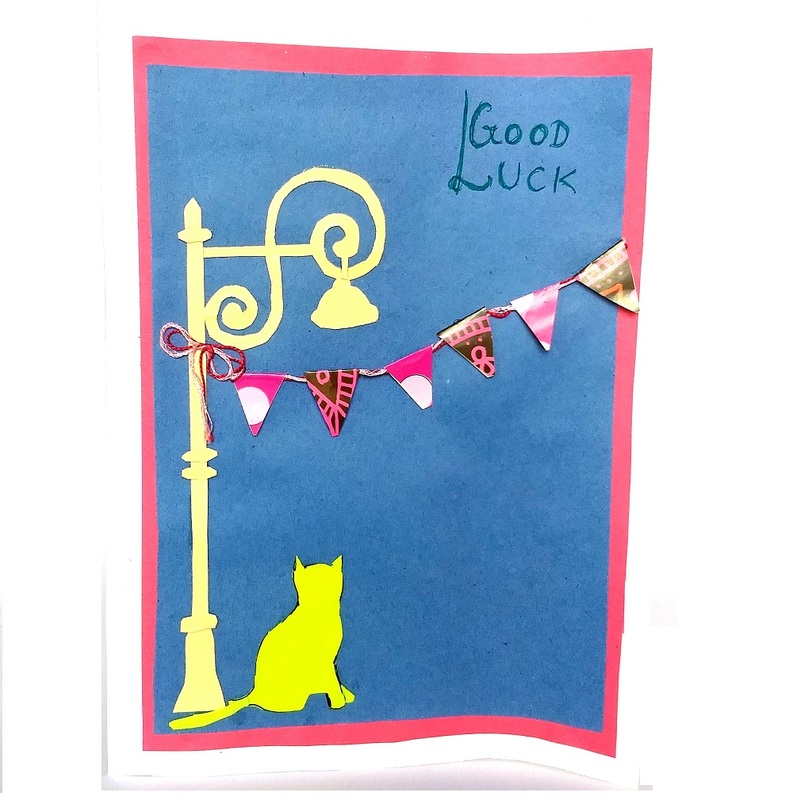 About Product : A beautiful Handmade Bunting flags with the cat Good Luck Card having a handwritten message. It would add that personal touch to the wishes to your loved one, who is appearing for the examination. 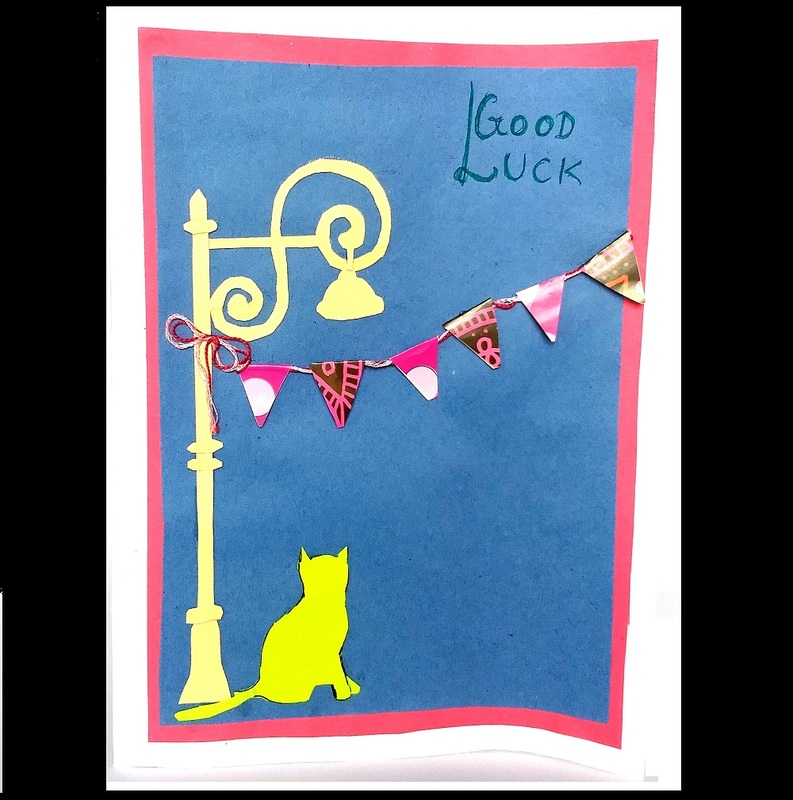 This card is intricately made by handmade paper craft with special effect to theBunting flag on a thread rope and a cut out of the lamp post with the cat. 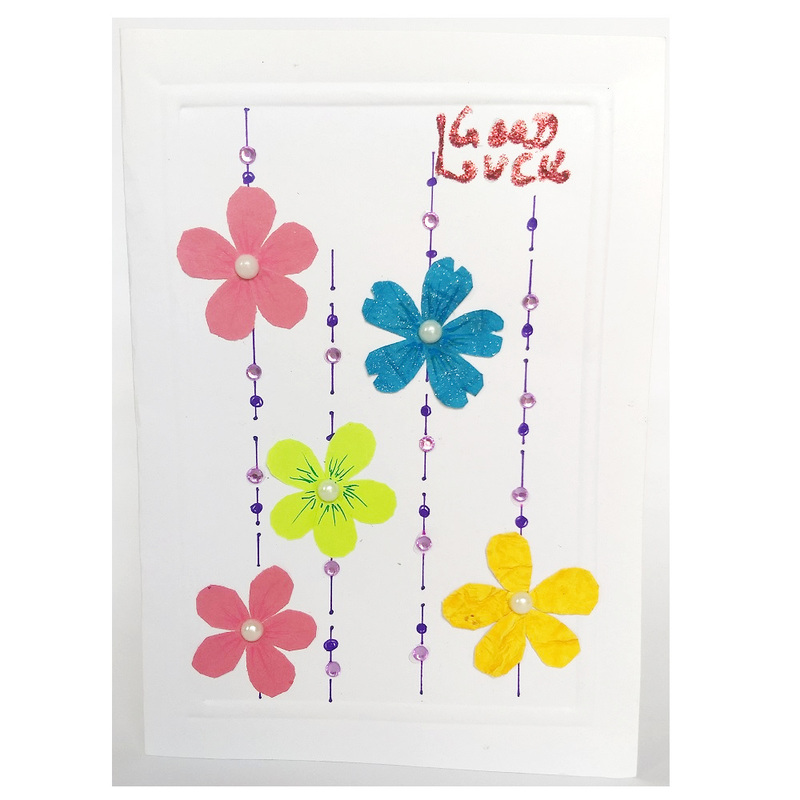 The card background is blue with white border and the inside page is white in colour. 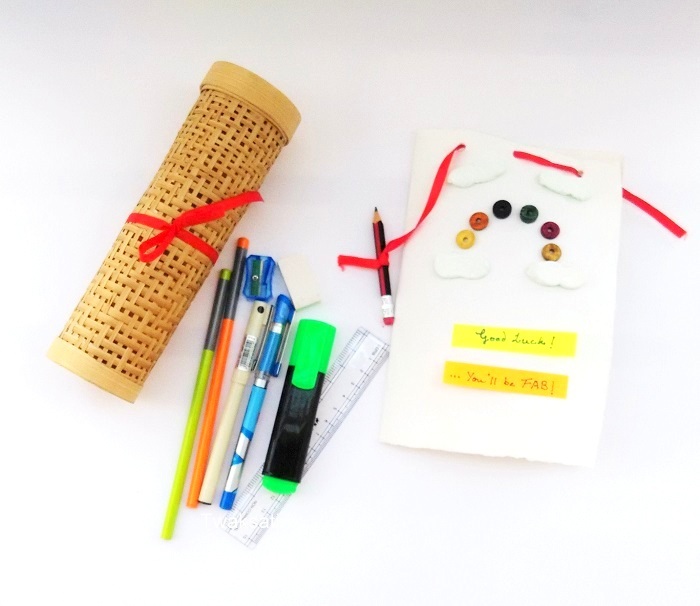 Be yourself, be different and let the others feel delighted with this personalised gift which speaks a lot about unique gifting ideas! Other Specification: All Handmade, hence there may be few irregularities but it adds to the beauty of the product. 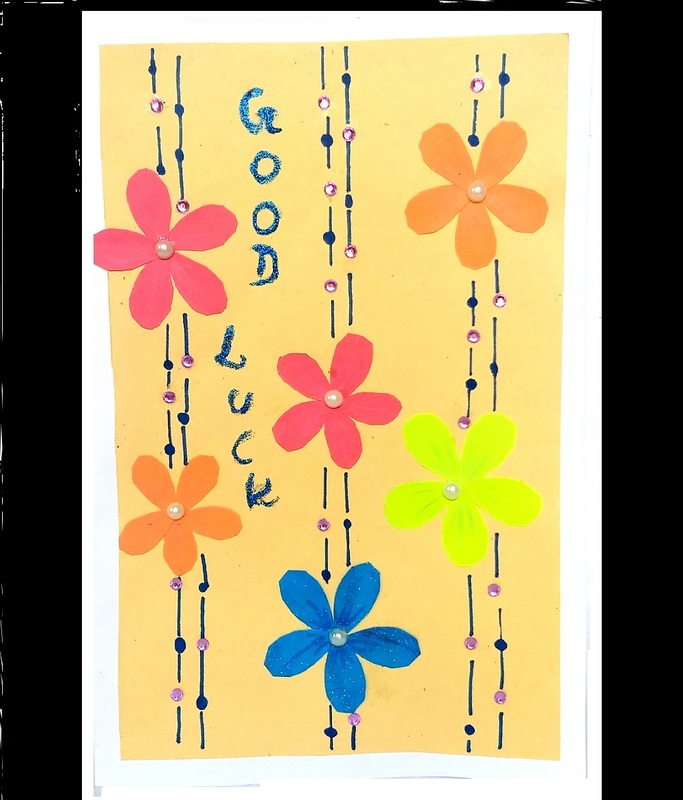 Send your personalised message to be written on the card to us by whattsapp (9560961433), it would be handwritten and sent to the receiver.